Today I’m excited to announce, that with YOU in mind, Expressions Vinyl and Silhouette School are forming a unique relationship. 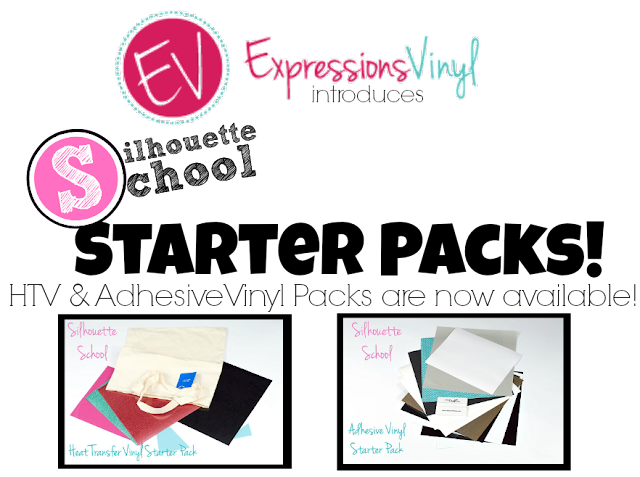 Expressions Vinyl will now be offering Silhouette School-branded vinyl and heat transfer vinyl packs. Click here and look for the "Silhouette School" tab along the left side of ExpressionsVinyl.com. 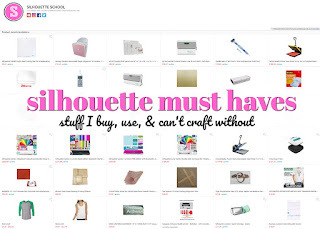 Each pack is valued between $25 and $30 and comes with everything Silhouette users - especially those who are new to vinyl or HTV - need to get started. AND even better news - we're giving away one pack of each to two lucky winners! YOu can enter for a chance to win below! 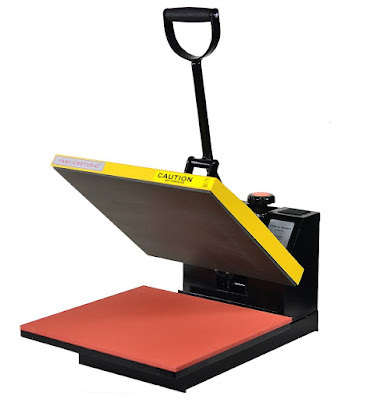 I get questions almost daily from Silhouette users who want to try out vinyl or heat transfer vinyl for the first time, but they’re not sure where to start. 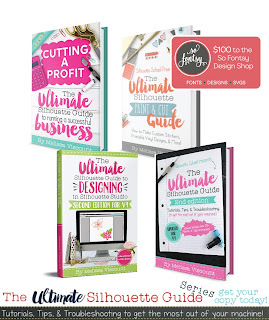 Now, I’m thrilled to point you to these packs as a one stop shop. And here's a look at what's included in the Silhouette School Heat Transfer Vinyl Start Pack. 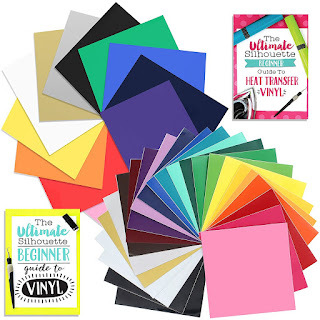 Designed to give users a little bit of everything to get started, these packs let crafters try out a wide selection of vinyl and/or htv so they can experiment with all the different types of vinyl and figure out what they like best as they get to know their machine and dapple in the vinyl world. While the Silhouette School vinyl and HTV packs are awesome for newbies, I’ve worked closely with Expressions Vinyl to carefully pick colors, vinyl types, and even a tool that are also attractive and useful for experienced users, as well. Black and white vinyl and HTV are the most popular so we’ve included them because they’re always useful and in demand. The glitter gold is my personal favorite and I want you all to experience its amazing glittery quality, too. These strategic color choices are ideal for experienced vinyl and htv users who want to branch out and try other types of vinyl - also included in the packs. The Silhouette School newbie packs are on sale exclusively on the Expressions Vinyl website. In full disclosure, I am an Expressions Vinyl affiliate which means by clicking on the link and purchasing a pack I am given a small percentage of every sale. 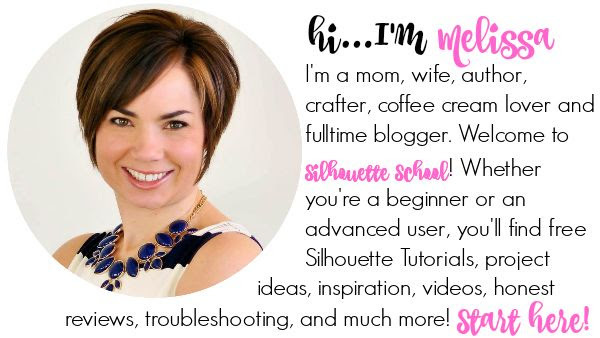 As always, this is what funds Silhouette School blog so I can continue to purchase new products - like the upcoming Silhouette Curio and Mint - so that I can teach all of you how get the most of out of your machines and continue to inspire your creative spirits! 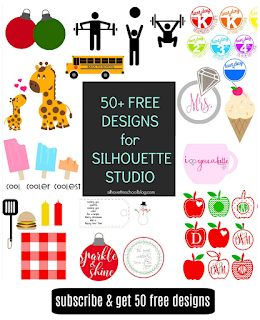 As always thank you for your continued support of Silhouette School. You have made this community and blog what it is today in just 16 short months and as I’ve said before - and I’m sure I’ll say again - I can’t thank you enough! This is a awesome thing to see. Thank you for bringing it to us. These starter packs are awesome! Can't wait to try the stripflock HTV. Thanks for this exciting addition! Now I love EV even more! I haven't tried outdoor vinyl yet. I have purchased the easy weed indoor vinyl from EV and love it. I would love to try out the htv! Newbie who can't wait to try htv! Just getting started, but I think the outdoor! I've never tried vinyl or HTV but that gold glitter one seems amazing! What a great idea! 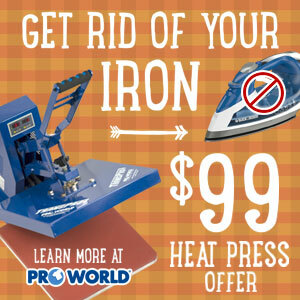 getting your feet wet in these ways to use our machines at a good price! I'd love to try out the heat transfer pack! I am excited to try the glitter gold! I am one of those who love the HTV projects you share, I would love to make MANY Of them for my DD and friends and family for different occassions, but it is not readily available to me for one thing and it intimidates me....I know if I tried it I would probably go crazy making stuff and using every last little scrap! LOL please through my name in the hat and thanks for the tutorials and a chance to win! I am excited about the gilitter papers, they would make awesome projects!!! I've not tried vinyl yet!?!? I'm interested in trying the stripflock. Should be fun! I can't wait to try the HTV!! I've been wanting to try HTV for quite awhile now! I'm new to the Cameo, but I am loving it!!!! I'd LOVE to be able to try glitter vinyl and etching vinyl!!! I'm a newbie and would love to try either one. I'm a baseball mom and I have so many ideas. I just received my Silhouette & am still learning the basics of the machine. Unfortunately I have no experience cutting vinyl yet but look forward in anticipation to cutting & using all types of it. The vinyl I'm most excited to use for the 1st time is the HTV Stripflock Vinyl, I just love that it can be layered and to me that's so, awesomely cool. 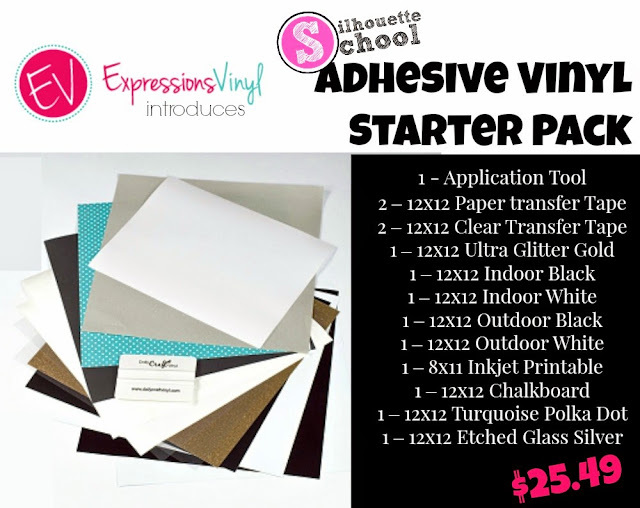 I think it's great that Silhouette School & Expression's Vinyl have teamed up & created these wonderful Vinyl Starter Kits. Thank you for giving us the opportunity to win one of each of the Kits. SO excited - I really want to get into HTV for items! I've been afraid to try, so I haven't cut any vinyl yet. I want to try HTV, removable vinyl, glitter vinyl and adhesive vinyl!!! I would like to try the Easy Weed! I would love to try the Turquoise Polka Dot and the flocked HTV! They couldn't have chosen anyone better to put together starter packs for us! Can't wait to check them out!! I have been wanting to try more HTV, what a perfect excuse to get started! Seems ideal to try out. I'd like to try the vinyl. Would love to try the stripflock htv, the etched glass and the inkjet printable. Thanks for the opportunity! I just got my Cameo at Christmas and have been wanting to start out in vinyl and HTV. These packs are awesome for beginners! I haven't done any vinyl yet - I'm excited to try either! The stripflock looks so neat. Can't wait to try it! I've not tried vinyl - this looks like a great way to jump in! How exciting! I haven't tried any of these yet! Since I've gotten my silhouette I've definitely realized I'm more of an adhesive vinyl person than HTV. However I'm still searching for that one HTV project that I'll fall in love with and maybe this HTV bundle will get me there! Thank you for all the wonderful tutorials you put together for us! I've not worked with the HTV or vinyl, what a great opportunity to try some! thank you for offering such a great giveaway! I'm excited to try Patterned Vinyl for the first time! This is such a great idea and I am excited to try these vinyls. Thank you so very much for this awesome opportunity. I tried basic black and would like to try the glitter gold. I would love to try the Glitter Vinyl. What fun. I have not had the opportunity to try Vinyl or HTV on my Cameo yet but when I do get a chance I would love to try the 14k Gold, pretty Flamingo pink, HTV Aqua- Siser Holographic and many of the Florescent colors. So many to choose from but I do enjoy bright colors in the summer time :) Thank you for this giveaway chance! I can't wait to try the HTV! Thanks so much for developing and offering the starter packs! I'm interested in the Stripflock and chalkboard vinyls. Have never used either one. Thanks for the giveaway! I'd want to try out the printable vinyl. I would love to try the HTV. I haven't had the opportunity to really use it and would love to incorporate it in with my other projects! I have yet to cut vinyl, as I'm still new to the Cameo and all it can do, so a starter pack is EXACTLY what I need. Thanks for the tip on where to buy vinyl, too - VERY appreciated! Great idea for us newbies! I would love to try HTV since I've never touched the stuff before. I would LOVE to customize fabric/clothes. I tried HTV and made a mess. I would love to learn to do it right. I'm excited to try HTV for the first time. pink is my favorite color and I have a daughter so there will be many shirts with pink what nots. I can't wait to try the etched glass vinyl! Love these! I have been wanting to try HTV but didn't know where to start! HTV- I still have not taken the plunge!!!!!!!!!!!!! The HTV is something I would love to try. Thanks! Excited to try Heat transfer! Has this been announced somewhere (if so can you point me in the right direction?_ and I missed it or not yet?